This joint is dope. Enjoy. Grammy winning Producer, Chin Injeti gets some big backing for his upcoming, Peoples Mixtape. The Peoples Mixtape set for release Tuesday July 17th and will feature David Banner, Talib Kweli, Jay Electronica, Shad, Bishop Lamont and many others. It will be a free download available through Wandering Worx Music. 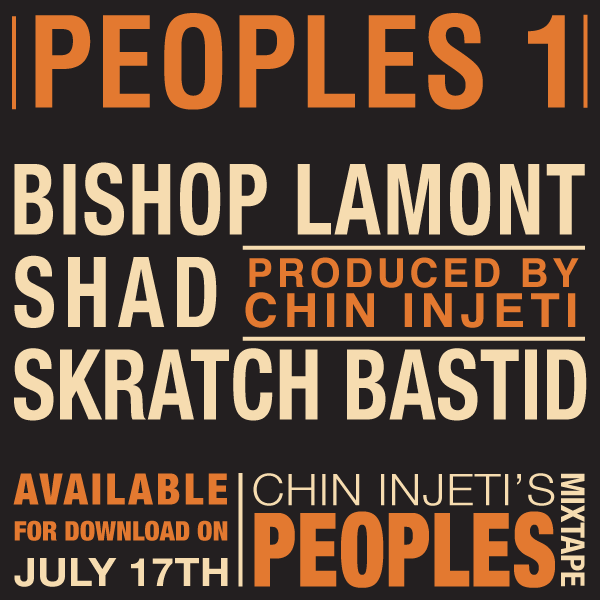 The First Single "Peoples 1" featuring Bishop Lamont, Shad & Skratch Bastid is available now on the link below.